Have you been scammed or fallen prey to a fraud and wondering what you can do about it and where to report your case? If you are a victim of unscrupulous scammers you may find below information to be of precious help. But first and foremost it needs to be pointed out that chances you will get your money back are not high. Many of these thieves are highly skilled and organized professionals using false identities and money transfer techniques that are basically not traceable. You may email/call (depending on the medium you used to communicate before) the con artist yourself, but remain calm and professional. Say you will notify government officials and law enforcement and precisely name where and how you are going to report them if they don’t return stolen funds as soon as possible. Don’t expect too much, but there have been some rather rare cases where the con artist(s), mostly unexperienced, have put their tail between legs and returned the stolen money, out of fear. Before you proceed with looking for a resource from the list most suitable for you, please read the topic scamming the scammed. It is only by the accumulated response of angry victims that authorities will have the incentive to devote resources, such as forensic accountants to trace the money, and other costly manpower, to a particular operation. Don’t forget that having your name recorded increases the chance of seeing some monetary recovery down the road, so be sure to report your case where ever you can. 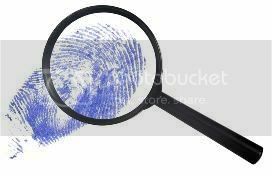 To ensure that your report is as effective as possible you should do a bit of investigative work on the perpetrator before notifying anyone. For all those who want to report your particular cases you may do so on other similar websites here and here.